Description: Margarita-the drink that's a party in a glass! Whip up an icy batch of America's favorite cocktail, spike the salsa with some tequila, too and you're well on your way to a really good time, down-by-the-border style. Now all you need is the perfect margarita, and happily, you've come to the right place. 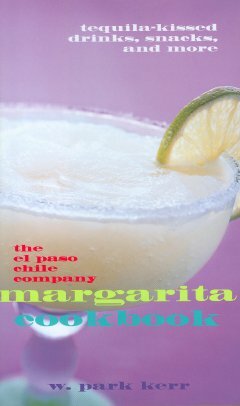 W. Park Kerr from The El Paso Chile Company brings you a hot 'n' cool collection of margaritas and other tequila-boosted recipes for every taste and every lively occasion. Let the fiesta begin!